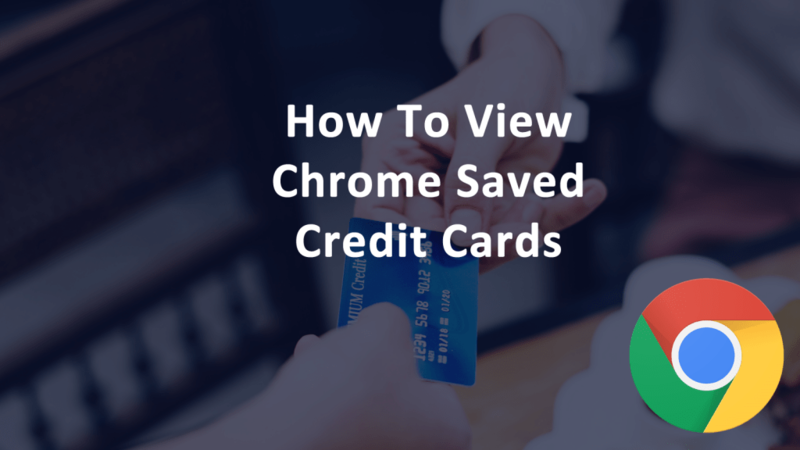 How Do I View My Chrome Saved Credit Cards? Chrome saved credit cards are stored to enhance your online shopping experience. Saving a credit card or other payment information in Chrome makes online shopping fast and more convenient. Chrome web browser stores credit card payment information as well as PayPal credentials so online shoppers can autofill payment information for a quicker checkout process. Convenient almost always means more vulnerable when it comes to online risk. Although saving credit card details in Chrome does indeed speed up the checkout process, it also is a cyber security risk. Many people share home and work computers. This makes it easy for anyone to use someone else’s payment information to make a purchase as long as they know the short security code form the credit card plate. In Chrome, saved credit card payments still require the three or four-digit security code (CVV) to be entered to complete the purchase. Saved PayPal credentials do not need any additional information to pay online. If you share a smartphone, tablet, laptop, or desktop computer with someone else, then it is best to view your saved credit cards in Chrome and then delete the numbers. It is never a good idea to make a purchase from a public computer at a library, coffee shop or other. This is a huge security risk. Public computers use shared WiFi connections. Even if the WiFi is encrypted, it is still shared leaving private information exposed. The computer itself is obviously also shared. Computers also store cookies, session information, browser history, and payment information. Even if a website is secure, internet traffic can be intercepted (sniffed) by hackers. Saved credit card information in Chrome can be viewed and deleted making your browser more secure. Yes, you will have to pull out your credit card plate to shop online, but you will also be more secure against hackers.